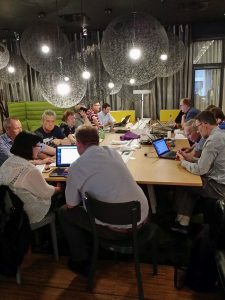 WordPress Community Workshop – Thursday 10th August, 6:30pm at the CitizenM’s ground floor lounge. 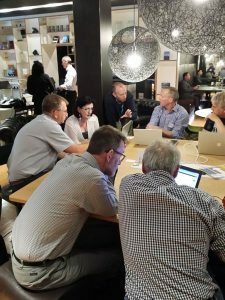 This informal get-together is also ideal for anyone who is new to WordPress and looking to find out more. Hear other people share their knowledge and experience. One-to-one help setting up your WordPress site, from Automattic – Thursday 17th August, 6:00pm in the CitizenM’s ground floor room. The Automattic Happy Engineers are having a team meeting in Glasgow and would love to meet the local WordPress community and answer all your questions about setting up your WordPress site. don’t miss this unique chance! “Create your own Child Theme” workshop – Tuesday 22nd August, 6:00pm at iCafe Sauchiehall Street. Have you found a nearly perfect theme for your website but Customizer doesn’t let you change everything you’d like to? Do you build WordPress websites for other people and wish you could use your creativity a bit more? Child Themes are great for those who want to take WordPress that bit further as they allow you to take an already existing WordPress Theme and change absolutely anything from it. We will start by learning about the structure of a WordPress theme and then create our own Child Theme step by step. We’ll also learn how to test our site for the various platforms and make sure it is responsive and accessible. Also, if you already know how to build Child Themes, come along and volunteer to help your co-members if they get stuck. It may be you next time! 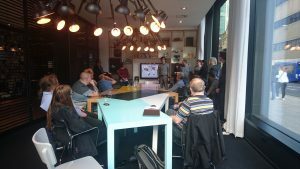 You can join the WordPress Glasgow community and find out more about these and other events from our meetup.com website. Our very popular co-working meet where we all sit together with our laptops working on our own projects and help each other with whatever technical query we may have.If you don’t have it already and need a hand with it, this month we’ll also help you install the free version of MAMP or WAMP as your local development environment so that you are ready for the Child Theme Workshop on Tuesday 23rd May.Find out more about our co-working meets in the WPGlasgow meetup page. This is a more structured meet where we normally have a topic of the month (in the shape of a talk, short workshop or “show and tell”, for example).This month we’re having the a talk by Sarah Semark, the “Night of the Living Style Guides”, a preview of her talk for WordCamp Europe. Check out our WPGlasgow meetup page to register and find more details. Please note that the “How to Create your own Child Theme” workshop will now take place on August 22nd.